Australian seniors are lucky to benefit from one of the world’s most progressive hearing services programs. Our government understand the individual, social and financial burden of hearing loss and have created a scheme to ensure that seniors, pensioners and veterans can access FREE hearing services and digital hearing aids through accredited providers such as Expert Hearing Care. If you believe that you may be eligible, call Expert Hearing Care on (08) 9375 9977 and we will be able to check you eligibility for the program on the hearing service program’s portal or you can visit www.hearingservices.gov.au for more information about the program. We will provide, and assist you to complete, an application form for the Office of Hearing Services. If you are applying for the first time, you will also need to have this Medical Form signed by your doctor. If you are already a client of the program and have not had a voucher for more than 3-years, we will be able to request a new voucher application on your behalf regardless of whether you have seen us in the past. 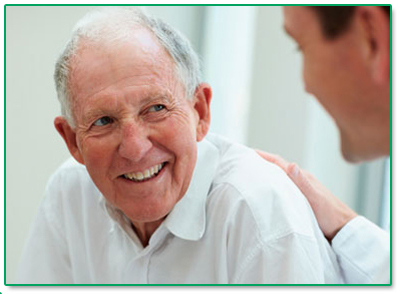 At this time you have complete freedom to change from one hearing care provider to another. You can obtain a maintenance contract from us for your hearing aids, which also covers you for hearing aid batteries. This is heavily subsidised by the federal government so that your annual contribution is minimal. Can you change providers without a new voucher? Convenience: You believe that one of the Expert Hearing Care clinics is easier to get to. Breakdown of relationship in your existing provider: You will have the choice to see whoever you choose if you feel the reasons are valid enough. If you are fitted with hearing aids, we recommended that you take up the option of a maintenance agreement with Expert Hearing Care. The majority of this cost is subsidised by the government. For a nominal annual fee we will maintain your aid and supply batteries. If you choose not to pay the annual maintenance fee, you will need to buy your batteries regularly and pay for servicing and repairs of your hearing aid. Make an appointment and we will help! It is always easiest to come and see us to discuss your needs – even if you are with another provider. At no charge, we will give you a hearing check so that we can assess and discuss whether you may be eligible for hearing devices and also answer any questions you may have and assist you to complete necessary paperwork for the Office of Hearing Services. Call us on (08) 9375 9977 or complete the online form found here.